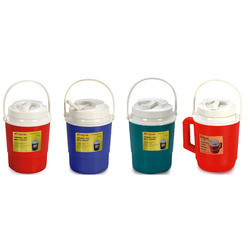 Being a customer focused organization, we are engaged in manufacturing, supplying and exporting a wide assortment of Water Jugs. Our experienced and qualified professionals manufacture these products using excellent quality material that is sourced from certified vendors of market. The reasonably priced range made available by us is resistant to heat and keeps the water cool for long time. 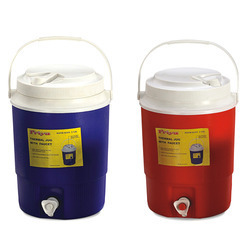 Keeping in mind clients’ diverse requirements of customers, we have become one of the illustrious manufacturers, suppliers and exporters of Office Water Jugs. Manufactured in conformity with the international quality standards, these mugs are widely applauded in the market. Supported by vast distribution channel, we are able to dispatch these products to the clients' end on-time. With firm commitment towards quality, we have emerged in the industry as one of the eminent manufacturers, suppliers and exporters of Kitchen Water Jugs. Fine in finish, these jugs are manufactured in compliance with the prevailing trends of the industry. Moreover, packing is given special importance to avoid no damages during dispatch. 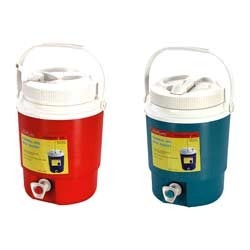 To attain maximum satisfaction of customers as a manufacturer, supplier and exporter, we are engaged in offering our customers with 1 Liter Coloured Water Jugs Can be used in houses, malls, hoses and restaurants, these jugs are widely appreciated. Designed with perfection, these jugs are checked on various parameters to ensure flawlessness. 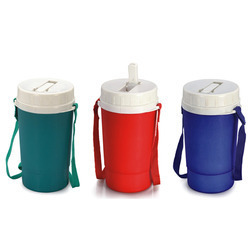 Being a well-established manufacturer, supplier and exporter, we are engaged in offering our customers with a wide range of Plastic Water Jugs. Dimensionally accurate, these jugs are developed as per the international quality standards. Further, customization is provided for these mugs on the basis of designs, shapes and sizes. Packaging Details: Each piece packed in a poly bag, each piece packed in a white box and 24 such pieces packed in an outer carton. With enriched industry experience, we have become one of the leading manufacturers, suppliers and exporters, engrossed in offering Plain Water Jugs. 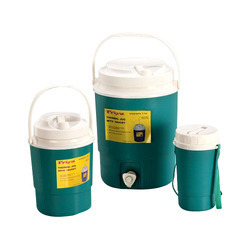 Designed with utmost care, these jugs are manufactured using superior-grade raw material like plastic and other components that are obtained from accredited vendors. Before final dispatch, these jugs are packed properly.